Eligibility: This competition is open to anyone age 25 and under as of May 31, 2019. If passed the screening, the applicants should be able to appear in person for the First Round and Final Round. And if chosen as the winner, to participate in all rehearsals and performance. Application Fee: A non-refundable USD $80 is required for all applicants, payable to Foundation for Chinese Performing Arts, 3 Partridge Lane, Lincoln, MA 01773, USA. It could be paid via paypal or by a bank check. Or, pay online. August 15, 2019: Announcing the required 5 min section from the 3rd movement of of the Brahms concerto to be included in the First Round. The winner will receive USD $3,000 cash and the opportunity to perform at the prestigious Jordan Hall with Mercury Orchestra, www.mercuryorchestra.org, the national winner of the 2010 American Prize in Orchestral Performance, and conductor Channing Yu, 2010 American Prize in Orchestral Conducting. Those who passed the screening to the First Round will receive USD $100 cash for travel expenses, the finalists will each receive additional USD $200 (total USD $300) for travel expenses. Submit a non-refundable USD $80 application fee, payable to Foundation for Chinese Performing Arts, 3 Partridge Lane, Lincoln, MA 01773, USA. Via paypal or a bank check. Or, pay online. Submit the Application Form to foundation@chineseperformingarts.net with applicant's personal information, and official proof of birth date. For applicants who are under18, the parent/guardian's information and signature are also required. Upload the unedited screening videos to YouTube (or Youku for students in China), and provide the links with detailed repertoire information in the application form. The total duration of the videos should not exceed 20 minutes. The video must begin with the applicant identifying himself or herself and giving the names of the pieces to be played and their composers. The applicant could also choose to include, but not required, a movement of the assigned concerto 2019: Brahms piano concerto No.1 in D minor, Op. 15. All pieces must be played by memory. The repertoire may be repeated in the First Round. The screening results will be announced by June 15, 2019 through e-mail. Up to twelve applicants will be invited to the First Round on Saturday August 17, 2019 at New England Conservatory's Burnes Hall to perform solo pieces by memory, in front of Jury Panel and audiences. The chosen competitors should confirm their participation via e-mail no later than July 1, 2019, and provide the repertoire for the First Round. A short bio of 200 words or less and a photo for publication are also required. minutes), to be announced on August 15 (two days before the first round). The repertoire used in the video screening round may be repeated. If the competitor exceeds the time limit, the Jury members have the right to stop the performance. time slot. Warm-up practice room will be provided. All travel and lodging expenses are the applicant's responsibility. An USD $100 for travel expenses will be rewarded to each of the twelve invited applicants. Additional USD $200 (total USD $300) for travel expenses will be awarded to each of the 4 Finalists. The order of appearances will be the alphabetical order of applicant's last names. The Jury’s decision is final and binding. This event is open to public. 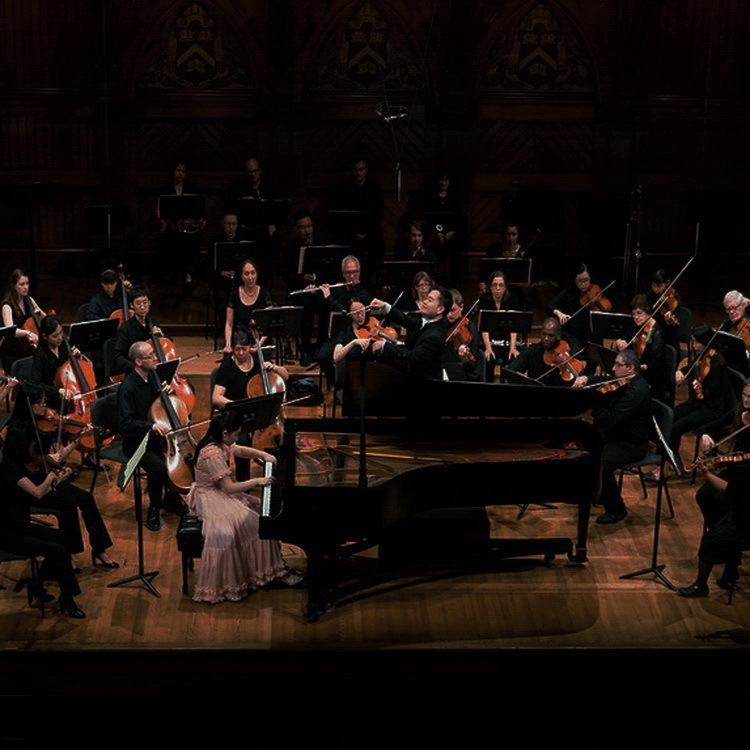 Up to four Finalists will be invited to the Final Round next evening, Sunday August 18, 2019, 7 pm to 11 pm at New England Conservatory's Williams Hall in front of the same panel of jury and any audiences. The up to four finalists will each have one hour rehearsal with our official collaborative pianist on Sunday August 18 during 10 am to 12 pm, and from 1 pm to 3 pm, on assigned time slot. Individual practice rooms will be provided. The order of appearances will be determined by drawing, as the same order of rehearsals during the day. The finalists will perform the assigned concerto in its entirety from memory, with our official collaborative pianist on the second piano. The result will be announced right after the Final Round. The Jury’s decision is final and binding. This event is open to public. The winner will start private rehearsals and open performance with Mercury Orchestra on dates and venues as listed above.